Companies are constantly looking for an advantage in order to get ahead of their competition. Big data has been identified as one of the ways to achieve this as it provides companies with a number of benefits, including data that helps them improve their understanding of their customers and optimize their business processes. Big data has already begun to revolutionise the way companies do business and more companies are looking to leverage these big data benefits. However, as the amount of big data continues to grow, will a company’s data networks be prepared to handle it? Many businesses are looking to upgrade their data networks from 10 Gb to 40Gb to handle this future demand. In the past, when companies needed to upgrade their network infrastructure from 10Gb to 40Gb, it was necessary to replace the entire network infrastructure to support the higher capacity and traffic growth. However, thanks to BiDi optical technology, a complete overhaul of your network is no longer necessary to support a 40Gb upgrade and provide sufficient bandwidth. What is BiDi Optical Technology? BiDi (bidirectional) optical technology is a type of network technology that’s used in high bandwidth networks. It offers 40Gb speeds but is able to achieve this using older 10Gb cabling. How Does BiDi Optical Technology Work? Older optical transceiver technology that was used in networks consisted of two fibers: One fiber which was committed to receiving data, and another which was committed to transmitting it. Newer BiDi technology uses optical transceiver modules that are able to overcome this limitation. 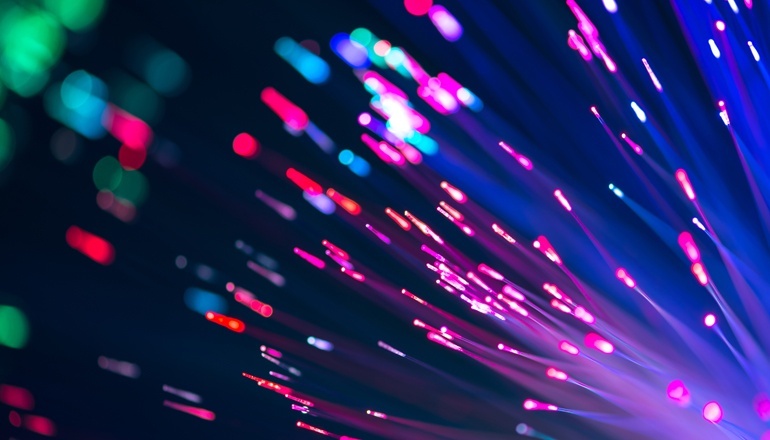 This is possible thanks to Wavelength Division Multiplexing (WDM) couplers, which use different wavelengths of laser light to send and receive data along a single fiber. These additional wavelengths also increase the available bandwidth in existing cabling. These two benefits are achievable using the existing 10Gb cabling infrastructure, which means that companies no longer have to completely replace their networks when upgrading to 40Gb to cope with future demand. This makes network capacity planning simple and more predictive. Where is BiDi Technology Used? BiDi technology is used both for 10Gb and for 40Gb. The application of BiDi in both these speeds is different, and intended to solve a different use case. In 10Gb BiDi, an SFP+ is used with SMF where the Upstream transceiver Tx and Rx are using a single fiber, and the Downstream transceiver on the same fiber needs the reverse wavelengths for Tx and Rx. SFP+ BiDi transceivers need to be paired correctly so that they match the same wavelength. 10Gb BiDi is especially used were there are limitations on the number of fiber strands, for example in FTTx applications. Here our main concern is 40Gb BiDi. In 40Gb BiDi, a QSFP MMF is used with LC connectors, so that each fiber carries Tx and Rx bidirectional traffic. This is especially used in Data Center applications where the existing 10Gb MMF fiber plant can be seamlessly upgraded to 40Gb with no fiber plant change. Other use cases may expand network services by upgrading local infrastructure for telecom providers, virtual data centers and for call switch connectivity. Why is Implementing BiDi Technology Necessary? A massive increase in connected devices — The Internet of Things (IoT) continues to expand, putting companies in a situation where they need additional bandwidth to handle the data these devices are transmitting and receiving. Big data continues to grow — Traffic in the cloud continues to increase as more companies look to take advantage of big data. Increase in applications being delivered as services — Companies no longer view software as a product, but instead as a service. This has seen a shift to online software solutions that require additional bandwidth to function correctly. Additional bandwidth is needed to support virtualization — More virtual machines are being used, placing additional strain on servers and the network. Network upgrades are necessary to ensure the smooth operation of your virtual machines. Data center traffic is becoming increasingly complex — Where data primarily travelled from the data center to the client and back, data centers are now shifting increasing amounts of traffic growth internally. Data centers require more bandwidth to keep traffic flowing smoothly. What are the Advantages of BiDi Optical Technology? Select the appropriate BiDi implementation for your application, wether 10Gb SFP+ BiDi or 40Gb QSFP BiDi. It allows you to make use of existing cabling so you don't need to replace your existing infrastructure. 40Gb signal technology is not proprietary, allowing you to make use of any equipment that complies with industry standards. It decreases fiber cabling infrastructure costs due to the decreased need for fiber patch panel ports. Reduces the amount of tray space that is required for fiber management. 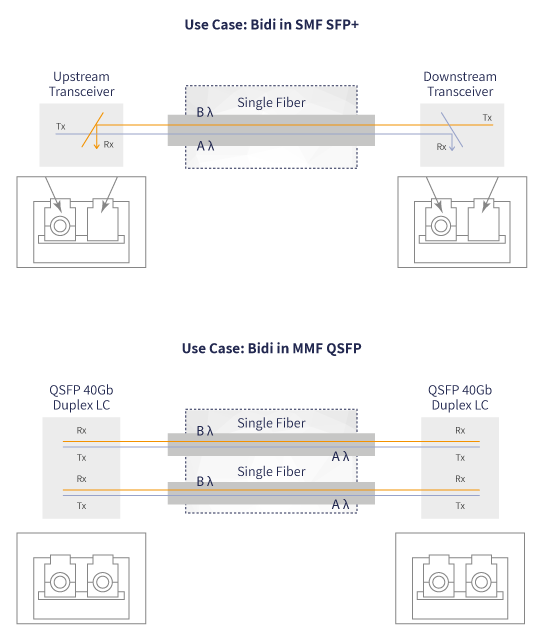 Less fiber is required per unit of distance, offsetting the initial cost of BiDi transceivers. Reduces possible downtime since the access layer doesn’t need to be rewired. Cuts costs approximately half of conventional 40Gb optical technology. These advantages ensure BiDi technology is a cost effective solution for the increasing number of businesses that are thinking of expanding to a 40Gb network that contributes towards improved network management. For more information on BiDi optical technology and how you can apply a visibility layer of Bypass switches, Network Packet Brokers or Passive Taps to support your optical infrastructure implementation, contact Niagara Networks for a consultation today.